Bob Moyer takes a look at a book from last fall, short stories from someone we think of primarily as a very good movie actor. UNCOMMON TYPE. By Tom Hanks. Knopf. 405 pages. $26.95. Tom Hanks is America’s actor. By dint of good choices, good fortune and great talent, he belongs to that pantheon of actors that includes Jimmy Stewart and Gary Cooper. Even if the movie doesn’t hold up to posterity, Hanks gives us a skillful, dependable and — well, American, performance. The same can be said of these 17 short stories. There’s not a clunker in the collection. Even in the least effective, a series of four stories styled as columns in a small-town newspaper, such moments of delight as the summation of sounds made by old typewriters pop up. Typewriters are both the literary and literal mechanical devices that link these stories together. There’s at least one in every story – just the answer to a trivia question as in “Three Exhausting Weeks,” background noise in “Go See Costas,” or a central theme in “These Are the Meditations of My Heart.” Their presence is surprisingly not forced in a panoply of story forms, from the press junket diary of a bit part actor in ”A Junket in the City of Light,” to the movie script of “Stay with Us.” In these stories and a few others, Hanks takes advantage of his intimate knowledge of show business to bring detail alive. 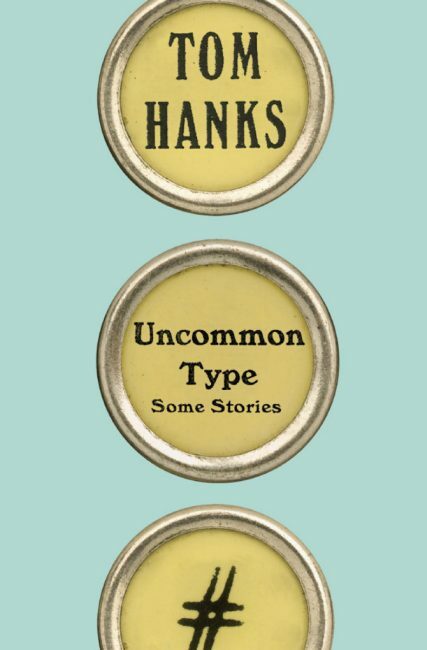 The strongest theme in these stories, however, emanates directly from Hanks. He is America’s actor — these are American stories. Not just any America, but a kinder, more accepting America, where a World War II vet comes back not bitter because he lost part of a leg and a hand, but grateful because he’s alive and “…felt like he had won the 1945 Irish Sweepstake.” Hanks’ America is one where the giant couple looming over the deteriorating desert town motel in “Stay with Us” becomes the centerpiece of a billionaire’s social project; a multi-ethnic quartet of friends hangs out with the intimacy of a sitcom in the making in two stories; and a billionaire from the future returns to the joy of the 1939 New York World’s Fair time and again for love because “The Past Is Important to Us.” The best of these stories is the tale of a Balkan immigrant in Manhattan, who finds succor at every turn during his struggle to survive, even in the most unlikely corners, when he is told to “Go See Costas.” These stories take us on a tour of an America we think of fondly in these partisan times. Hanks has gone from the stage to page with the same expertise that he has demonstrated in his acting career. You may not be thrilled with all his work, but you won’t be disappointed. His is an Uncommon Type of talent. 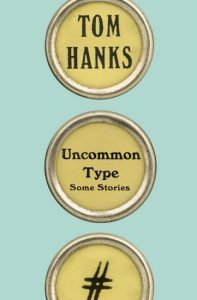 This entry was posted in Contemporary literary fiction, Popular fiction, Short Fiction and tagged short stories, Tom Hanks, Uncommon Type. Bookmark the permalink.